Early one morning, the very busy spider starts to spin her web on a fence post. One by one, the various farm animals try to distract her, yet the little spider doesn’t answer and keeps working diligently to finish her web. The spider’s web is embossed onto the page so children can follow it with their fingertips. 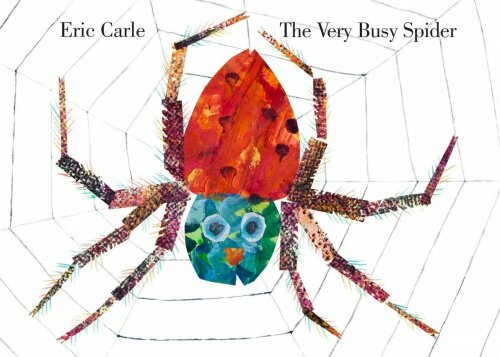 The Very Busy Spider is an engaging multi-sensory experience for children. The rhythmic and repetitive text make it fantastic for developing children’s language. Young children love copying the animal sounds and learning the names of all the farm animals. The simple narrative structure of this book means that it is a good choice for children who are beginning to learn how to retell stories.